Savouring Vanille Galante by Hermès now that the weather is getting cooler again, I am struck by its "solar" effect, a warming, "open", bright effect that is rendered through the use of salicylates: benzyl salicylate, cis 3 hexenyl salicylate, and iso amyl salicylate. To the perfume student these molecules present fascinating facets on the path of creation because salicylates encompass complimentary aspects and aid diffusion, making fragrances open up and "expand" in a sunny, exhilarating way. Gardenia, tiaré, and frangipani accords are usually built on salicylates and their summery vibe warms our heart even in winter. 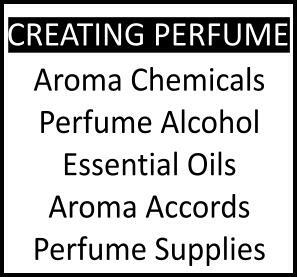 In this article we're going to occupy ourselves with the ones which are most often used in fine fragrances. Benzyl Salicylate (benzyl ortho hydroxy benzoate) is an almost colourless liquid that has a mild balsamic, sweetly floral note possessing excellent blending capabilities. Often used ~like foundation is for make-up~ as a base for heavy florals such as ylang, gardenia, jasmine, lily etc. It is also used in functional products such as soap, shampoo and fabric softener. Along with Methyl Salicylate, salicylates “turn the most banal floral composition into a real perfume, with majestic weight and sweep” divulges Luca Turin. However some people are anosmic to it, including some perfumers. Guy Robert could not smell benzyl salicylate at all, but could instantly recognize its presence in perfume: “I recognize it as if it were a friend seen from behind in a crowd, by the cut of his shoulders”. 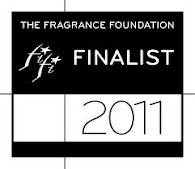 Indeed in the words of nose Bernand Chant “it produces a diffusing, blooming effect very pleasing to the public”. Many orchid fragrances are built on salicylates, while the mysterious emerald glow of the vintage Je Reviens is also due to them. Coupled with eugenol and isoeugenol, the effect becomes almost carnation-like with its clove tint. The magic of benzyl salicylate can be best experienced in the archetypal floral bouquet of L’air du Temps featuring an overdose of the ingredient. Its progeny included Wind Song, Norell, Estée, Charlie, even Angel! However the recent restrictions on the use of benzyl salicylates have taken their toll on many floral fragrances, L’air du Temps included, which simply do not smell as they used to. Amyl salicylate (pentyl ortho hydroxy benzoate) is a colourless liquid related to coumarin olfactorily, frequently used to round off a composition and fix fine fragrance (floral or non-floral) even though not a constituent of volatile oils. The molecule is also referenced as orchidee, trefle or trefol due to its orchid-like lightly sweet floral and herbaceous-green aroma and its inclusion in L.T. Piver's 1898 mythical Le Trèfle Incarnat. A tiaré accord built on amyl salicilate is used in the Dior Bronze range to impart the lightly powdery floral nuance which serves as a reminder of beloved products of sunbathing (see below). Chances are you've smelled amyl salicylate in your favourite shampoo, deo, hair spray or fabric softener too as it is so prevalent in those products or used it in your anti-rheumatism prescription. 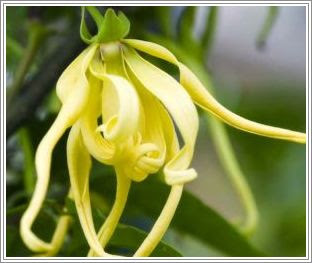 Ylang ylang (cananga odorata), a very frequent floral essence in perfumery and a constituent in Vanille Galante which prompted these syllogisms in the first place, naturally encompasses salicylates and eugenol (a spicy ingredient); the former in the form of benzyl salicylate is the basic ingredient in the Ambre Solaire suntan lotion, with its white flowers tinge, which is synonymous with summer vacations to many Europeans (The ingredient first entered the composition for its sunscreening properties and later overstayed thanks to the fond reactions of users to its smell). Even the humble aspirin is a product of salicylates. The magic of salicylates is that they creep up on you from the most unlikely places! I love your posts about the the chemistry of perfume. You manage to write about the silence without losing the romance. Salicylates seem to be essential to most of my favorite perfumes. The restrictions are a shame--but what else is new? "the mysterious emerald glow of the vintage Je Reviens" - great description for my HG. Also wore and loved L'Air du Temps. Wonderful post - thank you! I have been STARVING for one of your unsurpassed musings on the nature and science of fragrance ingredients. Wonderfully fascinating and educative post, dearest - thank you so much. Memories of my mother's scent Je Reviens and also of the beautiful l'Air du Temps ..... ahhhh. The Piver scent is intriguing; when I was in Grasse recently I visited the Musee International de la Parfumerie and of course they have a charming stylised mock-up of a late 19th/early 20th century Piver shop. you explain the chemistry stuff very well- I find it a bit tough in books but you make it quite nice and simple- so thanks! This was very informative! :) Great post. For sunscreens I would add also ethylhexyl salicylate (=octyl) that is very common today and has also a very mild note. Methyl salicylate was used a lot in pharmacy in basic products (is this the reason we feel "une odeur médicinale"?). Also with other salicylates and methyl blue is used to denaturate the alcohol (alcool sanitaire). Another perfume very rich in salicylates is Fidji (Guy Laroche). Wonderful post, as usual. Natural perfumers often look into the chemistry of the elusive flower they wish to recreate, eg gardenia, and play with accords of other aromatics that contain the major components. The anosmia is strange. I often hear more about musk anosmia. I wonder what other scent-specific anosmias there are out there. I and other perfumers I've spoke with often have temporary anosmias due to working on mods. After a while, our noses just don't smell an important ingredient. Some time passes, we stay away from the ingredient, and the ability to sense it returns. I have severe salicylate allergies, and this is something that some readers might want to be aware of. It is something that can be life-threatening. 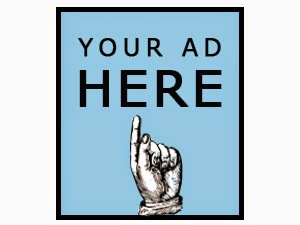 You can find a lot of information on the web about this. I love perfume too but need to be careful about ones I use. People (like myself) often become aware of the problem when they begin to experience severe reactions to aspirin. In my own case, ingesting the salicylates is a lot worse than having skin contact, but this may differ from person to person. Intrigued and edified by your post (as so often happens)...further piqued by Octavian's comment about Fidji...off to take a hit from my mini to see if I can start isolating "salycilate." Thanks for the fun brain hum. Next time I enjoy some birch tar in a fragrance, I'll raise a toast to methyl salicylate. Who knew? Thank you so much for your explanation of salicylates. I searched for this information to little avail when Vanille Galante was introduced. I found very little and nothing as good as what you have written here. Very often the chemical deconstruction of perfumes makes my eyes glaze over, but you create such fascination as you weave the chemicals into a web of connections, feelings, and memories. Very nicely done! aww, you're so sweet! I hope I don't come off as a bore most of the time. It's an interesting group of ingredients and essential to the effect of many fragrances. you're welcome, thanks for saying so! Yeah, I loved L'Air du Temps myself. I can't love it absolutely any more, but it does provide an instant recognition when I smell it on the street. LOL! Those chemical little rascals are awfully silent, aren't they? I have been searching for the Piver for a long time, something might come up, we'll see. I recall we had discussed the museum, it's a charming idea and I would love them to attempt a recreation Osmotheque-style. Thanks Ines, glad you enjoyed it! of course octyl seems to be a default ingredient nowadays in sunscreens. I almost invariably start wondering about stability upon reading sunscreen labels (avobenzone destabilizing, octocrylene being present or not, etc etc.) rather than paying attention to smell but you're absolutely right, it does have a mild smell. It's definitely true that when recreating scents one needs to lean on the bare building blocks and try to re-assemble. Not an easy feat! But regarding musk anosmia I haven't encountered it yet and I am a musk fiend, who likes almost anything musky (be it clean or dirty). The seperate musks (synthetic and real) I have smelled, I smell them all right, even though I have my favourites and not-so-favourites among them. What's the percentile of the population who doesn't have musk anosmia to any of the musks used? I understand that the aspirin salycilate is not for everyone and it is quite serious (my sympathies). However the percentages of salicylates in perfumes are quite miniscule and not to be ingested. I would be much more concerned about sunscreens really, which are supposed to be used every day and in large amounts. It's good to make an informed choice at any rate, so thanks. Oh and do bear in mind the birch tar in your fragrance might just be birch tar indeed! thanks so much! I try to avoid being pedantic and boring as much as possible. Don't know if I always succeed but you encourage me. Hopefully I will tackle other interesting materials later on. I'm humanities too! Lots of perfumistas are aren't they? interesting! I was always dreadful at chemistry, if only I had realised my perfume passion earlier i would have been a lot more engaged. It's all down to how they teach these things isn't it. I (personally) think it's lots of perfumistas who are vocal about it that are in Humanities ;-) I am sure there are hundreds of people appreciating smells who just don't have the inclination to talk about it. I was pretty good at chemistry (and maths) and recall being fascinated about how things work. But the different teachers do make a difference, no question about it. I was lucky in having good ones in those subjects. Don't really think so, if that helps. The main constituents in oudh are sesquiterpenes and phenylethyl chromones according to my research, as well as protein kinases (non olfactory elements). But salicylates (benzyl salicylate especially) may be used in perfume formulae WITH oudh, that's unrelated but influencing one's perception of the note. Maybe? Very informative with a clear explanation of what Benzyl Salicylate is, and its purpose. Thank you! You only stated the postitives of Benzyl Salicylate. Although some people smell it slightly, and some people not at all, to some people smells like a really strong chemically musk that gives a really bad headache. And its actually considered a "good" base for fragrance as its cheap, makes fragrances all smell the same, and can make a company alot of money. Not because its actually interesting.